In 2002, a year after graduating from college and frustrated by unsuccessful attempts to form a local band, John Renaud recorded his first solo album at a small studio in Vermont (his home state). He performed all of the instruments and vocals on what would become Hero's Welcome. The demo earned him encouraging reviews in Northeast Performer, Seven Days, and substantial airplay on the local alternative station. In 2003 he moved to Los Angeles, CA where he soon became a regular in the Hollywood open mic circuit, and performed solo shows consistently. Bridgework began taking shape in 2005 when John paired up with drummer Scott Witzenburg. They played their first show at Michael's Pub in North Hollywood on October 14, 2005 with Casey Hamilton on bass. 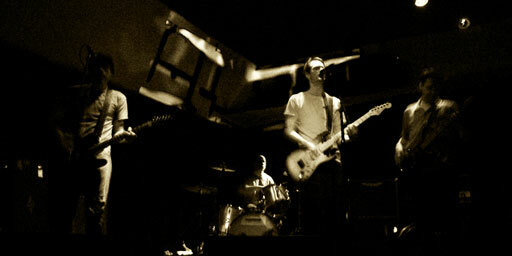 In 2006 the lineup was complete with Erik Kutzler on bass, and Jack Sparks on guitar. Together they performed numerous shows throughout the Los Angeles area. They released the EP World Disappears on February 26, 2008. Despite their best efforts, the EP failed to gain them any traction, locally or beyond. Jack's working life continued to keep him out of state, so the majority of Bridgework's 2008 shows were played as a 3 piece. Later that year, Erik left the band to move out of state. Not long afterward, Scott decided to do the same. John continued to perform solo acoustic sets throughout 2009 and 2010. He also recorded the No Turning Back EP which was released in December 2009. In 2011, after a humble but successful Kickstarter campaign, John set to work on a full length Bridgework album. Every Now And Then was released November 20, 2012. John recorded, mixed, and produced the album by himself. He continues to promote the Bridgework name.